He’s one of Australia’s most successful acting exports, but fans of Guy Pearce know that the likeable star has dabbled in the music industry before. Whether that’s as Mike Young in the early years of ‘Neighbours’, his 1990 film ‘Heaven Tonight’ or his 1999 movie ‘A Slipping-Down Life’ (the latter two of which are still available on iTunes in soundtrack form), he’s more than capable of carrying a tune. But it’s taken him until 2014 to release a debut single. 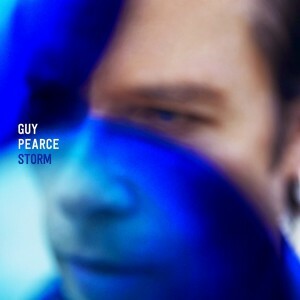 And that debut single is ‘Storm’. To be released next week, the track has been described as “a laid-back funky original’ that was penned by Guy himself and recorded in Auckland. Guy’s vocals are smoky and hushed and there’s even a glimpse of his falsetto in the earthy track, which is due on Friday August 22. There’s even mention of Guy’s debut album ‘Broken Bones’, which is currently slated for a November release via MGM.